This is a statement by Peter Paget, who I have interviewed in the past. Apparently this is posted on Veterans Today as part of an article he wrote. I like it because it is a succinct overview of how they think. Keep in mind that just because they plan it doesn’t mean they will get what they want!! There is a pronounced increase in Earth movement activity and magnetic anomaly. We now have two North Poles, one over Canada and one over Siberia. These focus the extreme cold, which why you guys are freezing in the NE USA. We also have two South Poles and that is why in the Australian Summer you guys down South are cooking and in your upcoming Winter you will be freezing too – more extremes and its NOT “global warming” (pass me the brown paper bag). The Artic North Pole is only warmer because it is no longer the actual North Pole, that is moving at 55 km per year into Siberia. More wobble too and when does this all get critical, well on present calculations 2023 to 2026 when the magnetic focus moves into the weaker field lines and the acceleration of the magnetic movement really speeds up weakening the magnetosphere and exposing the Earth to more Cosmic radiation, cloud cover and exposure to Solar storms as we move away from Grand Solar Minimum. What does that mean? Power outages, more disruption of satellite communications and crop harvest failures more widely as regions change climate pattern, higher food prices, the rich can afford it the others will just have to eat cake (cattle feed – an olde English joke). The elite, the World Governments, the cabals, the dynasties all know this and have been preparing for years, decades. Now I am going to share some views which are not my own but are held behind closed doors, so don’t go off on one about how Peter has drifted off to the extreme right. I just happen to be an external observer and I report to you what the Inner Keep (that comes from the last defence tower in the centre of a castle) think, plan and form policy which you don’t have to agree with – you would be pretty amoral if you did, but they are trying to be pragmatic, which is not very kind to you folk in the main out there. Namely, despite inclinations to the contrary, the World will not be able to support the numbers of people it has already living on it and famine and health issues will be the main reducer of populations numbers. In light of that conclusion the Inner Keeps policy is to help matters along, reduce unrest and that dreaded word ‘revolution’ (like South America) and over the years have World wide introduced not very successful programs (deliberate American spelling) to cut down numbers and reduce birth rates. These include reintroducing endemic diseases into areas where they had been illuminated, vaccinating as many old folk and children so they fall foul of maladies which might kill them off when they get a minor chill or are triggered by another artificial transmission, making ‘Cancer’ the norm (it is very much a 20th and 21st Century illness) and increasing its presentation in the population with RF 4G, cell phones, tablets, modems, wi-fi and the big new kid on the block, 5G, which rolls out this year. They are cooking you. WHY? Because they think a whole bunch of you are going to die anyway so what’s the point of wasting time and cluttering up the civilisation with pointless workers who are no longer needed. Don’t jump on my back please, I am only telling you what others opinions and policy are. 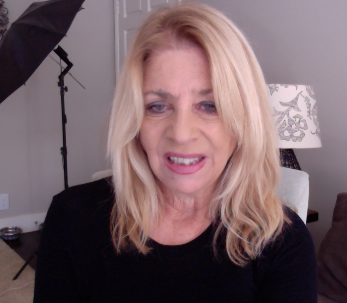 Don’t shoot the messenger, or would you rather stay in in your pink bubble of denial and ignore the situation – most of you will prefer that – you don’t want to know. The Georgia Guide Stones have been updated. The target is now 2 billion only on Earth, so 5.5 are earmarked to go walk about and meet their maker. Hence why in various places around the World (who mentioned Northern California) unneeded communities can be allowed to fry and burn) so the BIG boys (and GIRLS – who said HRC) can cream off the resources and plough the ill gotten gains into their survival programs, namely the off world and deep (DUMB) facilities where they hope to sit out the troubles and amuse themselves with their human slaves (sorry helpers) until things Solar quieten down again as they will. Happened a number of times before. Why did the great ancient civilisations of the past suddenly disappear? 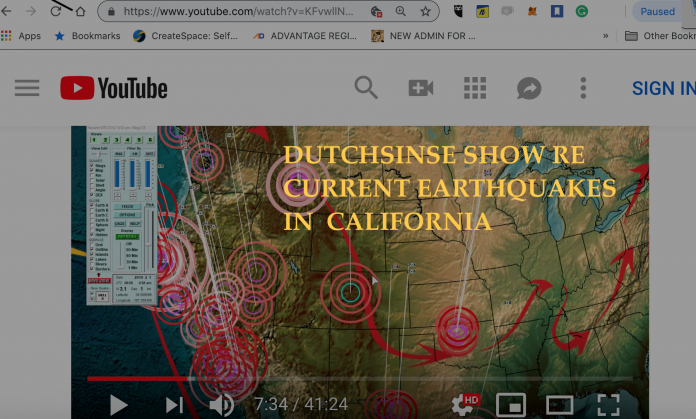 NOTE see this show by Dutchsinse for more evidence of Earthquakes and volcanism in California linking to Yellowstone.